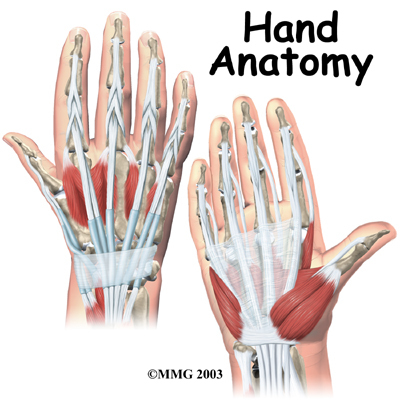 Welcome to Grapevine Physical Therapy & Sports Medicine's patient resource about hand injuries. 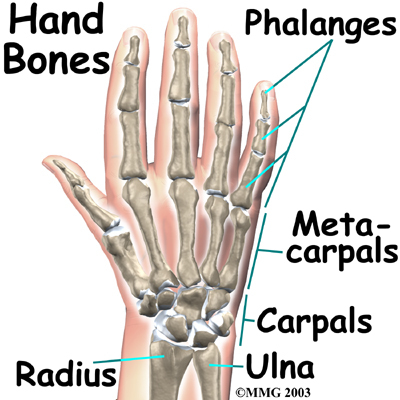 The following is an article on hand anatomy. Please see the left hand menu for specific information. 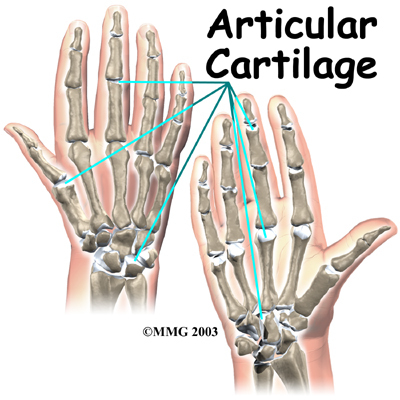 The joints of the hand, fingers, and thumb are covered on the ends with articular cartilage . This white, shiny material has a rubbery consistency. The function of articular cartilage is to absorb shock and provide an extremely smooth surface to facilitate motion. 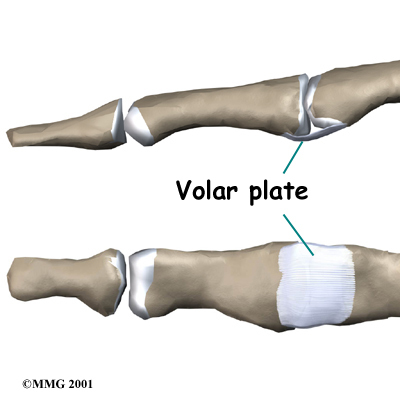 There is articular cartilage essentially everywhere that two bony surfaces move against one another, or articulate. 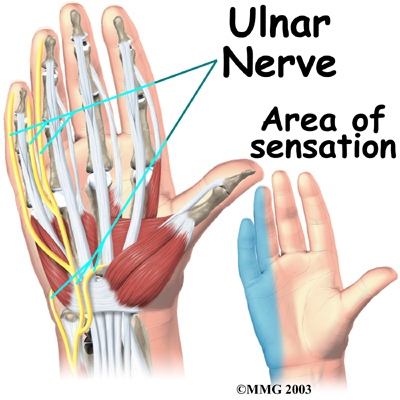 The ulnar nerve travels through a separate tunnel, called Guyon's canal. 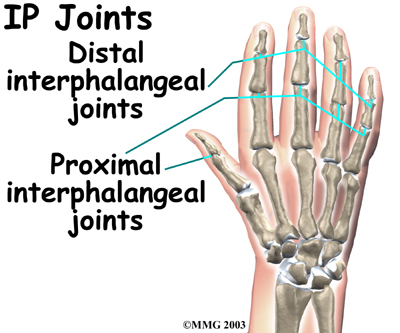 This tunnel is formed by two carpal bones, the pisiform and hamate, and the ligament that connects them. 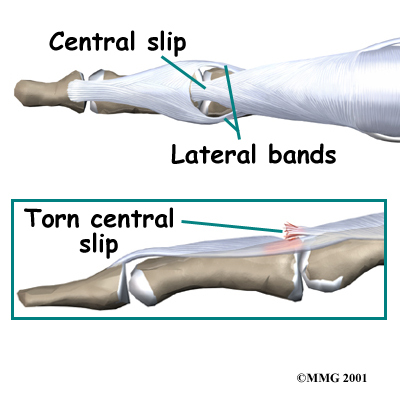 After passing through the canal, the ulnar nerve branches out to supply feeling to the little finger and half the ring finger. 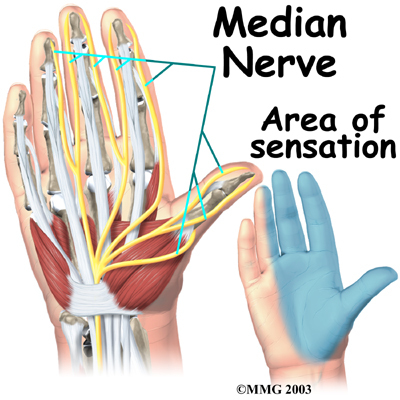 Branches of this nerve also supply the small muscles in the palm and the muscle that pulls the thumb toward the palm. Traveling along with the nerves are the large vessels that supply the hand with blood. 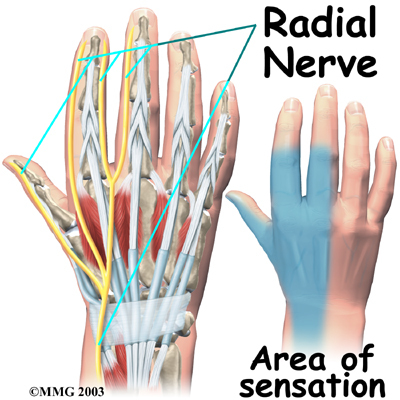 The largest artery is the radial artery that travels across the front of the wrist, closest to the thumb. 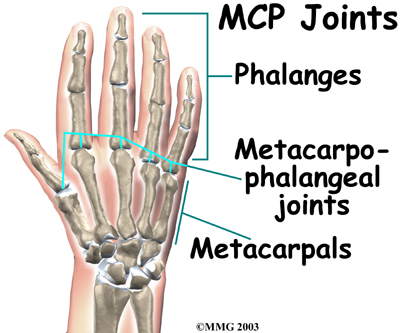 The radial artery is where the pulse is taken in the wrist. 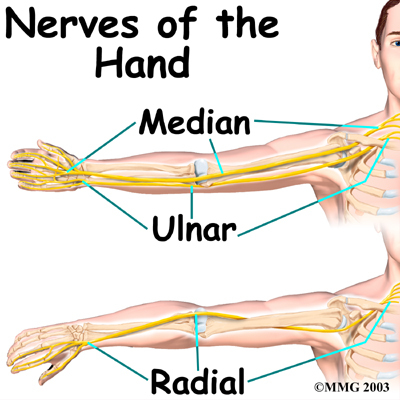 The ulnar artery runs next to the ulnar nerve through Guyon's canal (mentioned earlier). 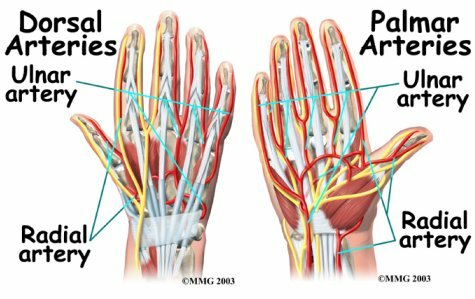 The ulnar and radial arteries arch together within the palm of the hand, supplying the front of the hand, fingers, and thumb. 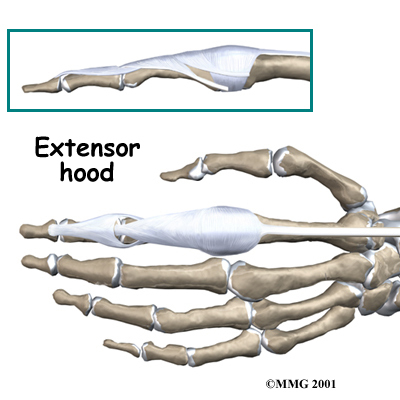 Other arteries travel across the back of the wrist to supply the back of the hand, fingers, and thumb. 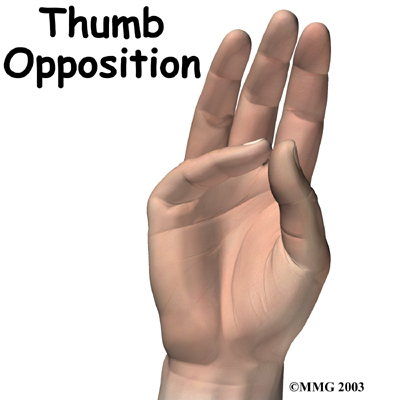 The hand is formed of numerous structures that have an important role in normal hand function. 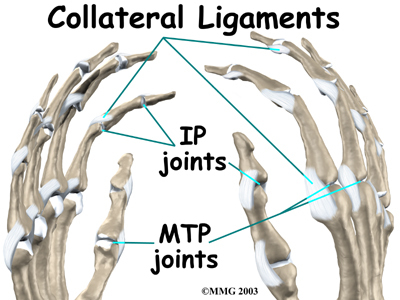 Conditions that change the way these structures work can greatly impact whether the hand functions normally. 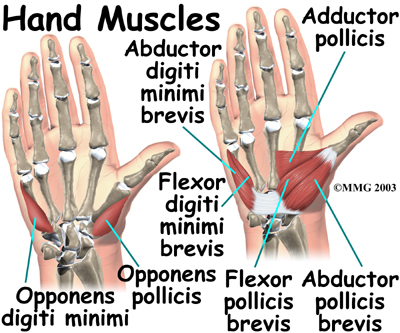 When our hands are free of problems, it's easy to take the complex anatomy of the hand for granted.